Over recent months ongoing shakeups in the White House staff have generated a lot of attention from the news media. However, over the summer there was one specific item of news related to psychiatry that got obscured in the whirl of other notable news surrounding it. In July, Ryan Lizza reported that the then White House Communications Director, Anthony Scaramucci, called him to unleash his anger about the presumed leaks from the White House. Scaramucci expressed his frustration and anger towards then Chief of Staff, Reince Priebus. The statement was full of profanity and received tremendous attention from the media. Profanity aside, Scaramucci called Priebus a “paranoid schizophrenic”. This terminology was repeated as if it was equal to Scaramucci’s other profane insults in the media many times, without any apparent reaction to how unacceptable and stigmatizing such a phrase is. Very few media outlets condemned the idea of using a mental illness as an insult. An excellent op-ed by Rebecca Chamaa lays out the profound problems with the media’s presentation of the Scaramucci story from the perspective of someone living with schizophrenia. According to the World Health Organization, 1% of the world population has schizophrenia. It is a relatively common mental illness that affects several million Americans and their families. Many people deal with this illness every day of their lives, make a living, help their families, raise their children, and make ends meet, all while they go through the challenges of receiving appropriate healthcare for their illness. They are worthy of respect and should be met with support, but many of our profession’s top journals and the news media at large, remained silent in the face of this onslaught. The dark irony is that this event took place during the same week that the White House was heavily invested in the passage of a Senate healthcare bill that would have removed the protections of insurance coverage for a large number of illnesses, including schizophrenia. Let us sit back and take a second look: in one of the richest and most modernized societies in the world, while there were attempts to make a law that would take away healthcare from a large group of patients, the communication director of that nation’s highest office usedan illness of 1% of the population as an insult to another official. And the media, including professional medical societies of that nation, did not widely condemn this behavior. Also, we are not aware of any official apology in regards to this matter, from the office his was representing. Popular culture in recent years has eschewed the shaming of people with cancer and other medical illnesses. There is even a campaign called “Spread the Word to End the Word” directed against the use of the “R-word” to hurt people with cognitive disabilities. As psychiatrists, we need to speak up alongside our patients and help people understand that using mental illness as a pejorative is equally hurtful and unacceptable. 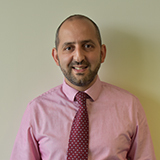 Arash Javanbakht is director of the Stress, Trauma, and Anxiety Research Clinic (STARC) at Department of Psychiatry and Behavioral Neurosciences, Wayne State University. His research is focused on the neurobiology and treatment of PTSD and anxiety, and impact of war trauma on Syrian refugees. 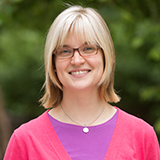 Aislinn Williams is an Assistant Professor of Psychiatry at the University of Iowa. She studies the cellular and molecular mechanisms of risk genes for psychiatric disorders, such as bipolar disorder and schizophrenia.